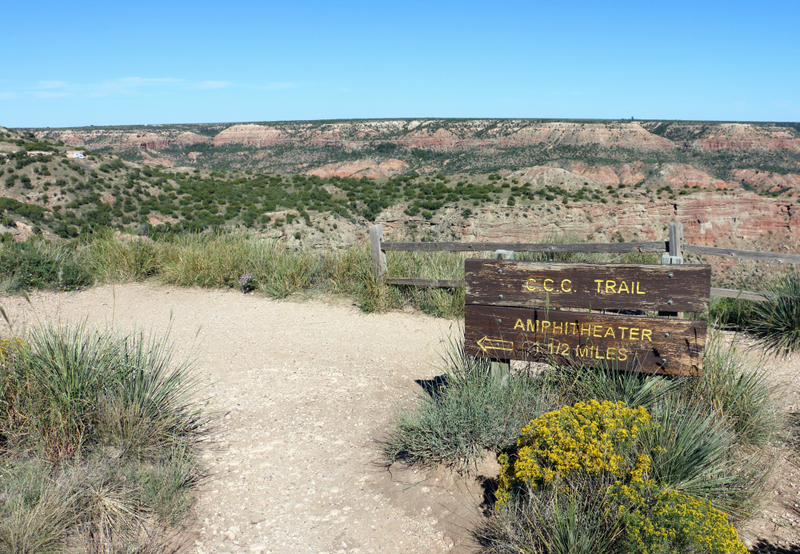 While working up a sweat during the scorching descent into Palo Duro Canyon along the steep CCC Trail, it’s not hard to imagine Civilian Conservation Corps (CCC) crews toiling away in the sun. 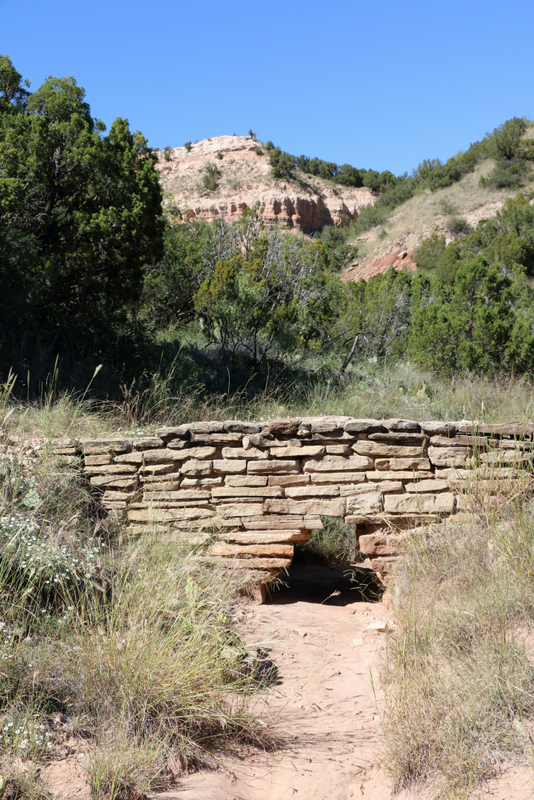 Evidence of their labor abounds—from the trail itself to stone bridges and culverts along the route. Hikers can almost picture these hardworking men finding inspiration in the sweeping views and taking comfort in the knowledge that future generations would benefit from their efforts. These individuals ended up in the nation’s second-largest canyon (about 120 miles long and 800 feet deep) as a result of New Deal policies during the Great Depression. 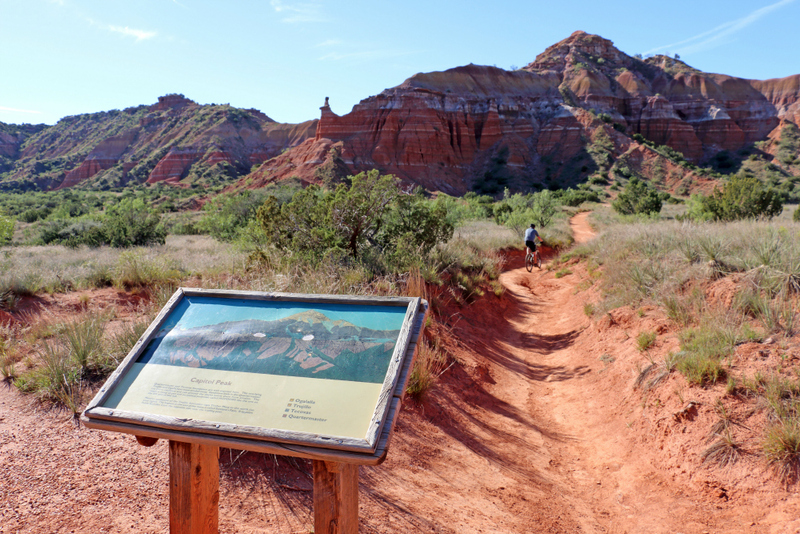 In 1933, the state purchased land that would become the roughly 28,000-acre Palo Duro Canyon State Park. That same year, President Franklin D. Roosevelt created the CCC jobs program, and several companies comprised of World War I veterans, African Americans, and young men were dispatched to the new park. 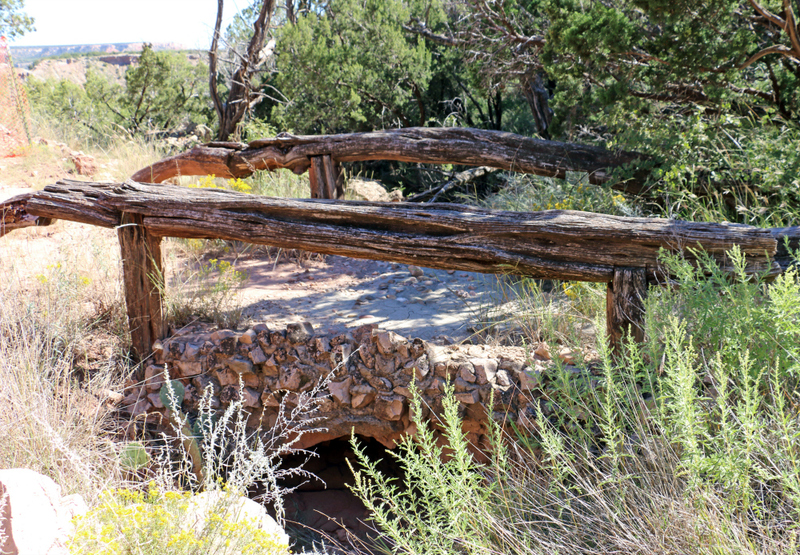 They remained until 1937, creating the infrastructure and many buildings that endure today, including the winding eight-mile road from canyon rim to floor, El Coronado Lodge (now the visitors center), cabins, trails, and picnic and camping areas. The Texas Historical Commission honors the CCC with a marker outside the visitors center, and an exhibit inside includes CCC photographs and artifacts. 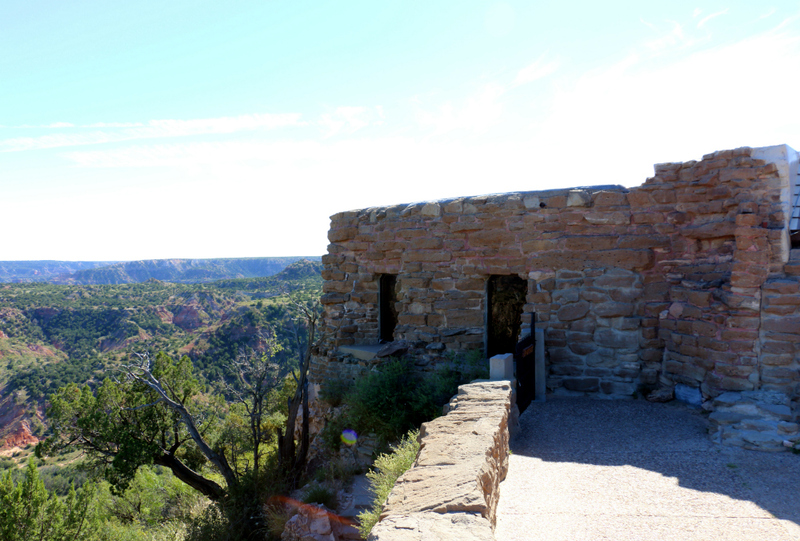 Heritage travelers can experience part of this legacy by renting one of several stone cabins on the canyon rim and floor. Hiking inside the canyon, on routes such as the popular Lighthouse Trail, provides time for reflection upon its natural beauty and storied past. Humans have lived in the canyon for about 12,000 years, with evidence from several American Indian tribes including bedrock mortar holes and rock art. 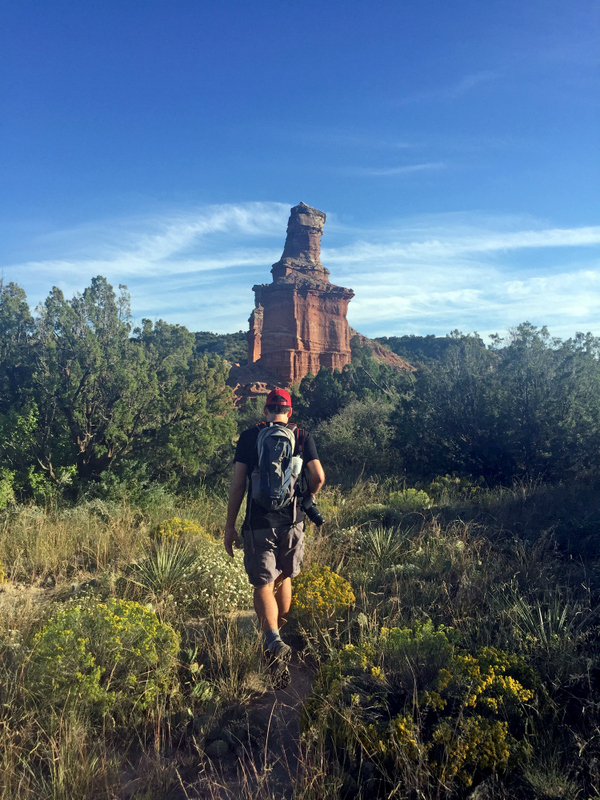 First documented in 1542 by the Coronado expedition, the canyon was named Palo Duro (hard wood) for the area’s juniper and mesquite trees. In the 18th and 19th centuries, Hispanic traders known as Comancheros came to the canyon to exchange goods with Comanche Indians. Later, the canyon played a role in the Red River War, the series of clashes in the Southern Plains between the U.S. Army and American Indians. On September 28, 1874, the Battle of Palo Duro Canyon was a decisive victory for the Army, driving the Comanches and allied tribes back to the reservation in Indian Territory (now Oklahoma). In 1877, legendary cattleman Charles Goodnight founded the JA Ranch in the canyon, which he grew to more than 1.3 million acres and over 100,000 head of cattle. 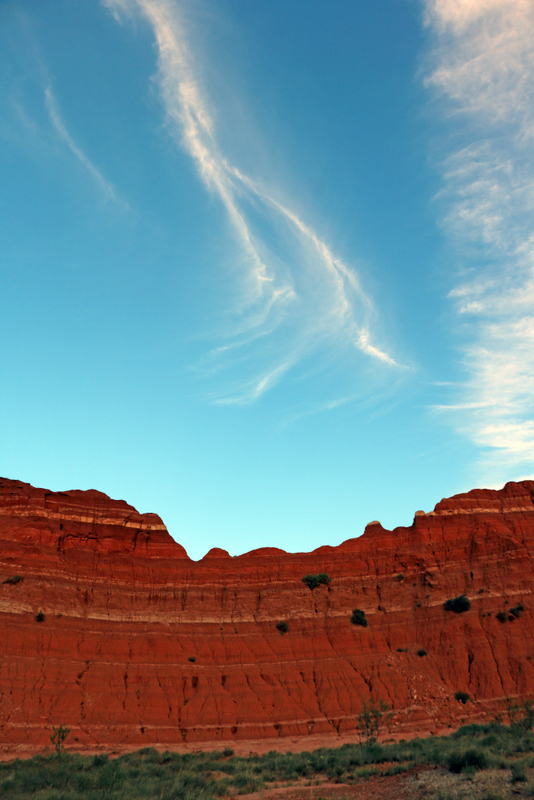 Decades of settlement, ranching, agriculture, and oil development ensued in the Panhandle prior to the creation of the state park. 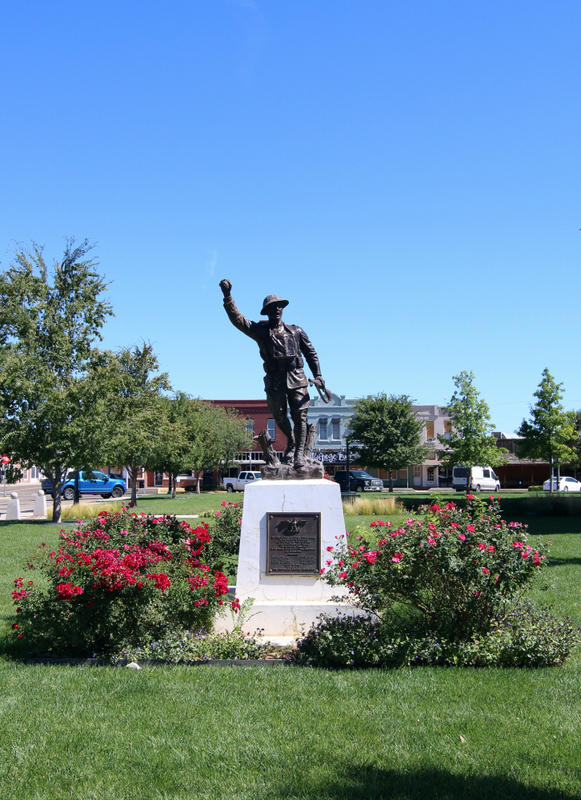 Other historical attractions are in nearby Canyon, a Texas Main Street city. 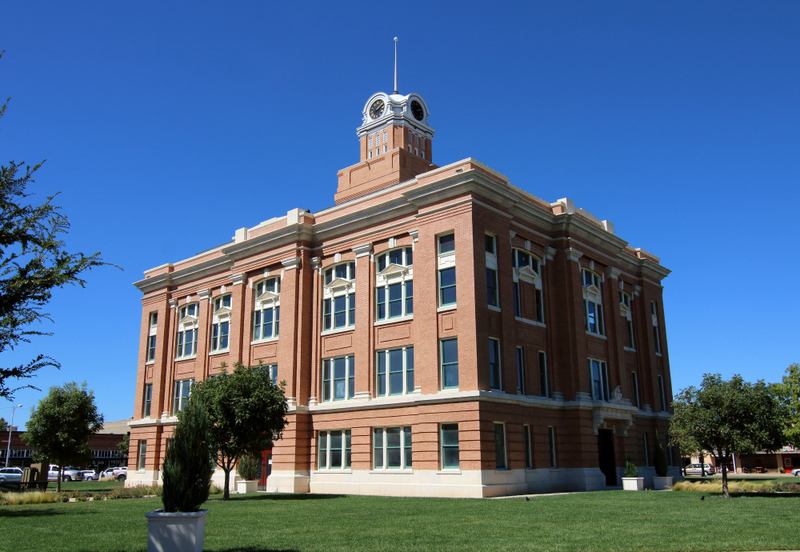 At the center of the beautiful town square is the 1908 Randall County Courthouse, which received an exterior restoration in 2010 as part of the THC’s Texas Historic Courthouse Preservation Program. 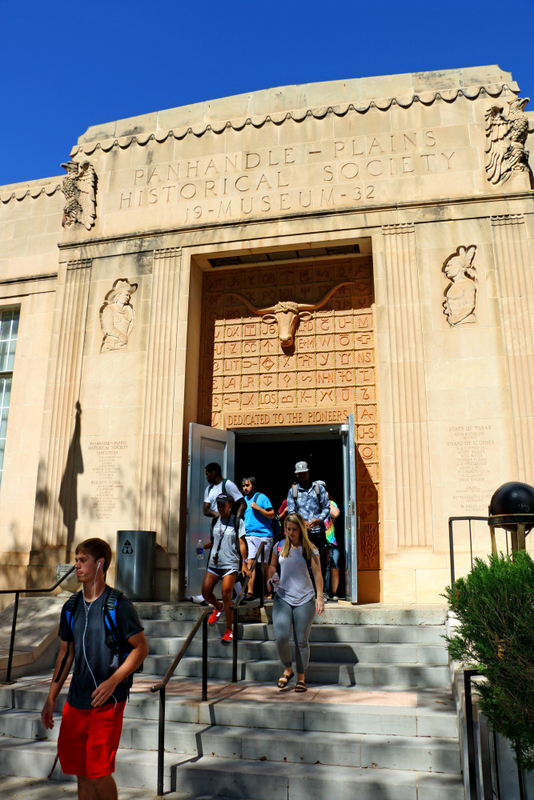 Housed in an impressive and enormous 1930s Art Deco building, the nearby Panhandle-Plains Historical Museum features many exhibits on regional history, art, geology, paleontology, and other subjects. 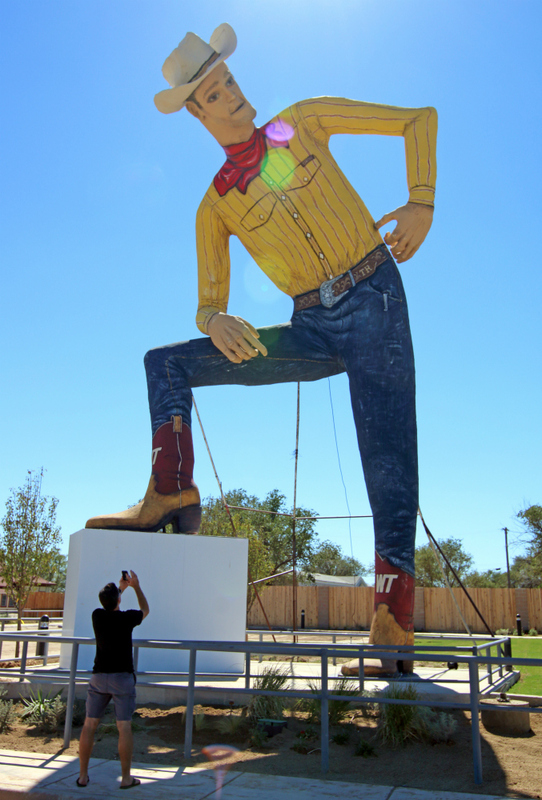 Outside the city center is a Canyon icon: the 47-foot, seven-ton cowboy statue known as Tex Randall. A THC historical marker notes that this uniquely Texan roadside attraction was built in 1959 to welcome travelers to a curio shop on U.S. 60. It was recently restored for a project led by the Canyon Main Street Program. El Coronado Lodge (now the park's visitors center) was constructed by the Civilian Conservation Corps.